If you ask Us, there is no such thing as having too many beauty products in our vanity. From foundations, eyeshadow palettes, lipsticks and more, we just can’t get enough! With a wide range of beauty looks we’re dying to try, loading up on our beloved products — and even a few new ones — is a true necessity. Thanks to Ulta Beauty, we can now give our shelves the upgrade it deserves with the Holiday Beauty Blitz Sale. A fabulous time to welcome some items on our wish list, cult classics and signature products into the fold, this sale is red hot! Just in time for the holiday season, we can scoop up some early gifts for ourselves and our fellow beauty aficionados. We love rocking flawless makeup looks and with this sale, the sky is the limit for an Instagram-ready finish! From now until December 25, we will have the opportunity to shop some of the most popular staples with the retailer’s advent calendar of deals. Whether you’re all about flaunting soft glam looks or looking to make a fierce statement, the sale will come right in handy! With each deal only available for one day only, it’s imperative that we act fast to snag our favorites. Scroll down to check out some of the upcoming deals we can’t wait to get our hands on! Now, who’s ready to Shop With Us? When it comes to the art of foundation, nothing beats a flawless, yet weightless formula. A great product that sets the base for our desired makeup looks, this item can easily make or break our application process. That’s why we are elated to add the PUR 4-in-1 Foundation Stick to our beauty bag. Formulated to provide medium to full coverage, less is truly more with this item. We love that the cream to velvet matte finish blends beautifully with our skin for a smooth and flawless result. Made with Ceretin Complex and Energy Complex, this foundation helps to color correct and brighten while providing a more youthful appearance. We also dig that this formula is naturally buildable, so we don’t find ourselves wasting product. Versatile in nature, we can also rely on this product as a highlighter or contour cream to sculpt our face to perfection. With 20 shades available from light porcelain to dark espresso, this offering is a fabulous buy! Shoppers who purchased this foundation love how easy it is to blend with a brush, while others appreciate the full coverage without the heavy feel. See It: Grab the PUR 4-in-1 Foundation Stick at Ulta Beauty for 50 percent off the original price of $34, now only $17 in multiple shades. Not quite your taste? Check out other amazing products at Ulta Beauty’s Holiday Beauty Blitz Sale to add to your collection! Get ready to glow this holiday season and beyond! While there are tons of products that work to sculpt our face, nothing gets Us going like a chic glow. So naturally, once we spied the Stila Cosmetics Heaven’s Hue Highlighter, we immediately had to swoon! 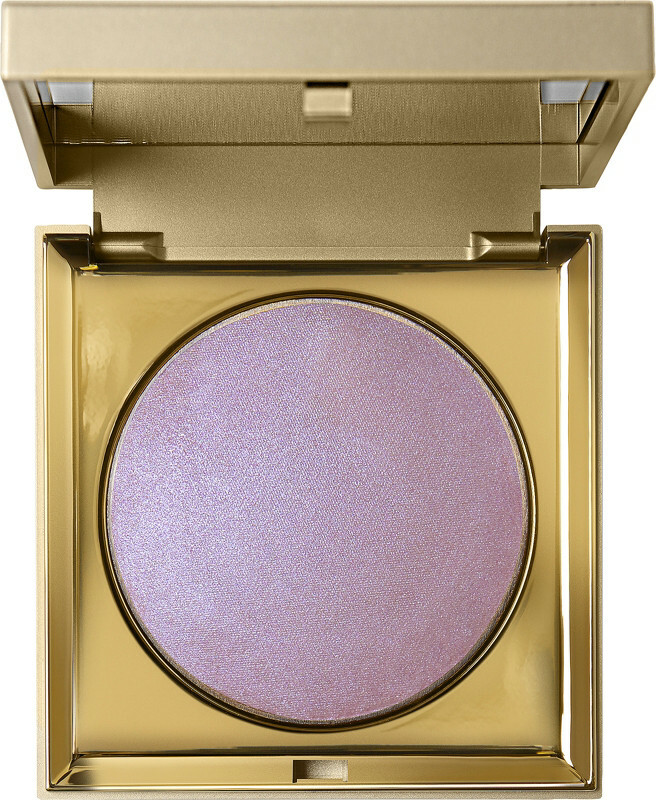 Designed to melt into our skin, this glimmering compact will have Us glowing from the inside and out! Made with a unique gossamer-light, this product brings attention to the highest points on our face with a barely there feel. Soft and luminous, we can count on flaunting a natural-looking glow with every wear. To highlight our cheekbones to our nose bridge, this glorious product will make quite the impression. We can even wear this highlight on bare skin to give our natural looks a glowing effect! With an opalescent pinks, shimmering nudes, beautiful sunny glows and more, we look forward to mixing and matching this highlighter with all of our makeup applications. Ulta Beauty shoppers are equally impressed. Many reviewers love that this highlighter can double as a blush, while others love that this product provides a dewy shine without looking too oily or greasy. See It: Grab the Stila Cosmetics Heaven’s Hue Highlighter at Ulta Beauty for 50 percent off the original price of $32, just $16 on December 14! Not quite your taste? Check out other must-haves at Ulta Beauty’s Holiday Beauty Blitz Sale to add to your collection. The festive season calls for eye-catching metallics and luminous shimmers that will give our peepers an extra pop. 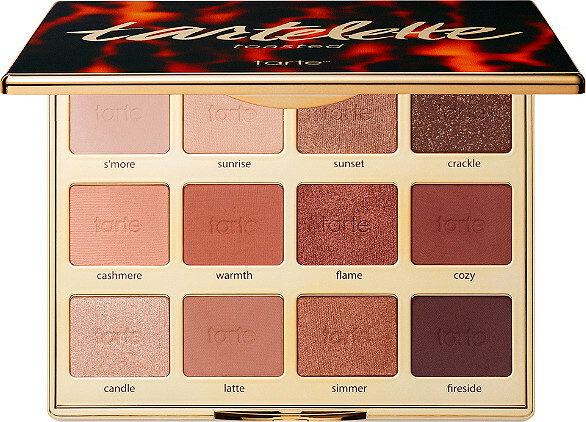 While we always make it a point to stay ahead of the game, we’re calling dibs on the Tarte Tartelette Toasted Eyeshadow Palette. A stunning selection of warm and cozy shades including, 7 wearable mattes and 5 shimmery options, this palette will become our favorite in no time! With adorable monikers like crackle, s’more, and fireside we already have few eye makeup looks in mind! We also appreciate that this offering is made of Amazonian clay, vanilla extract and mineral pigments to keep our skin in tip-top shape for a long-lasting wear. While some palettes fail to provide the burst of color we love, this option takes pigmentation to the next level. A great product that will look amazing on all complexions, this inclusive-find will come right in handy for every beauty lover! Shoppers love its powdery texture, while others enjoy the additional guide to experiment with different looks. A great palette that applies smoothly and offers amazing color, we can’t go wrong scooping up this product. See It: Grab the Tarte Tartelette Toasted Eyeshadow Palette at Ulta Beauty for 50 percent off the original price of $39, only $19 on December 15! Not quite your taste? Check out other must-haves at Ulta Beauty’s Holiday Beauty Blitz Sale to add to your collection.